Brew gourmet coffee wherever life may take you with GSI's Collapsible Java Drip. Made from sturdy silicone, this blue #4 cone brews anywhere from 1 - 12 cups of coffee and conveniently collapses back into a portable case for traveling ease. 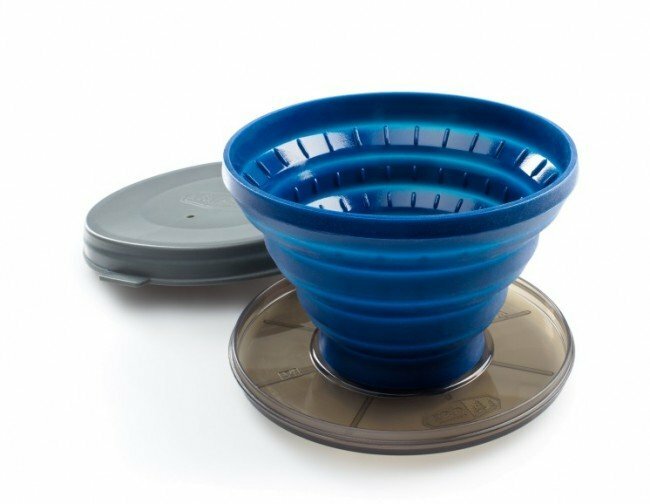 Take it with you on an outdoor excursion, or just keep it in your kitchen for a quick and easy pour over alternative to your usual brew method. Unique Design - Collapsible and stable! Half of the Java Drip's case also works as an amazingly balanced pour-over base. The drip point of the cone fits through the base while the base sits on top of your cup for hands-free hot water pouring. Easy peasy! Built to Last - Made of Silicone and sturdy plastic, this pour-over cone/case combo is built to withstand Mother Nature's fury. 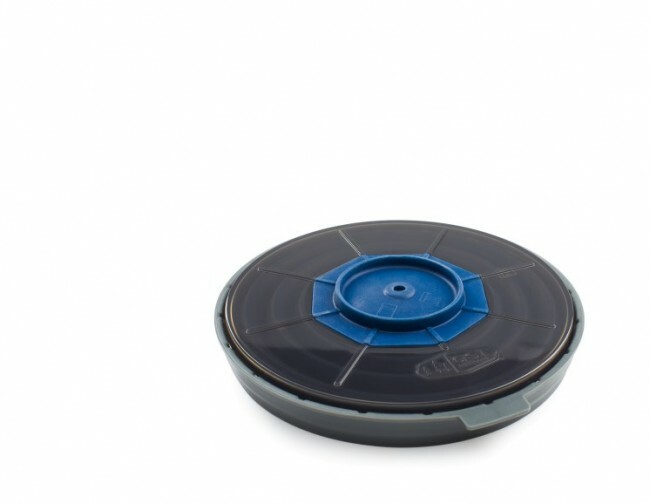 Travel Ready - Collapses into a travel friendly size when you're ready to continue your trek. Once you have a decent amount of water working it's way through the grounds, place the top part of the case over the cone for maximum heat retention while brewing.